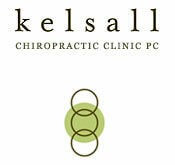 Here at Kelsall Chiropractic Clinic, we love seeing patients! Whether you find us through a friend or online, we always welcome new faces. Filling out the the new-patient intake form beforehand will save you time at you first appointment.